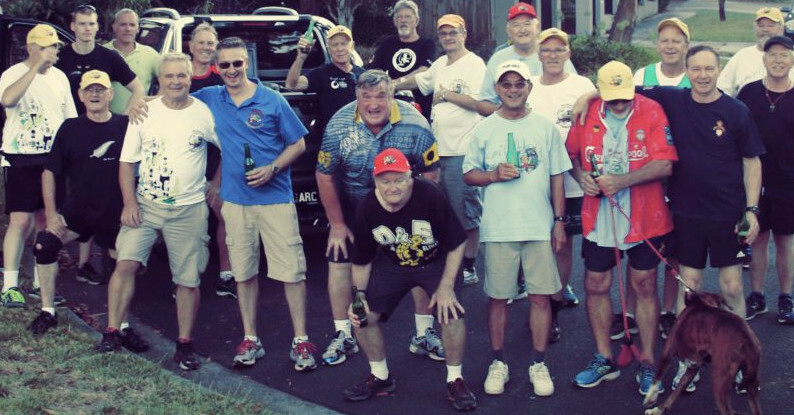 The international phenomenon known as the Hash House Harriers kicked off in Kuala Lumpur in late 1938. The Japanese occupation of Malaya shortly thereafter halted proceedings for five years but that wasn’t long enough for the fire to go out. They resumed in 1946. Ultimately, more HHH groups sprang up, firstly in SE Asia then, from the late 60s and early 70’s, to all corners of the world. It was a very popular pastime for expatriates particularly of British origin who found themselves on foreign shores. A Penang chapter started in 1965 and a number of Air Force personnel serving at the adjacent Butterworth Base heard about it and were attracted to its wonders. The RAAF also had its own school on Penang and a teacher there just happened to be one Jack Salmons, who also became involved with the Penang Hash. Jack subsequently relocated to Melbourne. Now, the terrain in and around Melbourne is very different to what had been traditional Hashing territory and the social opportunities in Melbourne were also worlds apart from an expatriate community in SE Asia. But Jack obviously longed for the good old days in Penang. So, ultimately, he and another ex Penang H3 member, Ian Rippingale, persuaded a few others with previous Penang Hash experience that a family day, preceded by a traditional Hash run was in order. Thus the first MH3 run was arranged for Sunday 25th April 1971 from the Selby School Residence, ie Jack’s place, and adjacent reserve. Ten runners were attracted and followed a 3.9 mile trail along local roads and well defined tracks. Jack wrote a short run report, or Re-hash, and, with typical H3 overstatement, prophetically declared “you have been chosen to create history”. download the 2014 Year Book in the "archive" section.